In today’s episode, the Merrymaker Sisters Emma and Carla Papas share their take on making healthy choices. Startup founders are used to pushing themselves to the limits, but are you making healthy choices? For your mind to work at peak capacity, your body needs some lovin’ as well! The Merrymakers share how to get started and how to make it easy and fun! We even do a plank live on the show! This podcast is proudly brought to you by my bestselling book: Your Brilliant Un-Career: Women, Entrepreneurship, and Making the Leap, out now on Amazon. 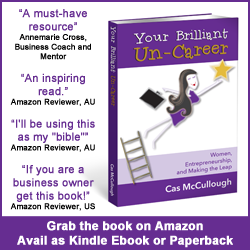 http://bit.ly/uncareerp (Paperback version) http://bit.ly/uncareer (Kindle version), and Writally.com, my new tech startup to help business bloggers create high-quality content in half the time. Join the beta testing community here: http://writally.com/group! Their website and social media channels reach over 150 000 people every month. They will inspire you with real, healthy food recipes and help you find and follow your bliss. Throughout their merrymaking journey they’ve published the healthy cookbook Make It Merry, partnered with international brands like Reebok, Microsoft and Fitness First to inspire and connect like-minded people together and have been featured across international and national media channels such as Mashable, MindBodyGreen, The Age, GoodFood and Channel 10. Do you struggle with making healthier choices? If you do, you’re not alone. Even the way you get out of bed in the morning can influence how you feel. According to an article in Psychology Today, you are more inclined to make less healthy choices when you know what’s in your food, when government campaigns and fitness experts try to convince you of the error of your junk food eating ways and when you’re hungry and the options before you are less healthy ones. The article also points out that if you make the default choices healthy ones, you will be more likely to make healthier choices. Everytime I go into the kitchen I take something out of my cupboard that doesn’t need to be there and put it in the box. If you just park a little further away from the shops and take the stairs instead of the elevator, that will help to get you started in changing your exercise habits. “high vibes” — new term for me. Changing our lifestyle changed our lives in so many ways. Our overall message is everyone’s healthy is a little bit different. Feel empowered not guilty. Find a healthy choice that is energising, fun and brings joy to your life. When you remove the friction from a decision, it’s an easy decision. 1 is the food that we eat. We believe that healthy food should be delicious, and easy to make. Set yourself up for wins. When you achieve it you’ll feel so good. You can start really basic: meat and vegetables and gradually add variety and spice. For exercise, we just make sure we love what we do. A lot of the time people think there’s a right way to exercise. What’s the point in doing something you hate? What if you don’t enjoy exercise? Start with really small goals. Start with a 5 minute walk and you’ll feel better. It’s about reframing your feelings around exercise. If you can connect exercise to another one of your values or goals, that’s another thing you can do. Connect exercise with another value or goal to motivate you. If you meet a friend for coffee, how about you meet a friend for a walk. Choose where you go and stay, so that you can stick to your good decisions. It takes practice, but it’s always really empowering. There are going to be people who interrogate you. Empower yourself. Be assertive. Own your decisions and surround yourself with people who are going to support you. You’ve gotta think also about mindset. If you have a positive mindset, implementing changes will be easier. Teach yourself to flip your mind when you notice negative thoughts creep in. We all grow up thinking thin is what we need to be. 10 minutes is better than nothing. Even if you’re too busy, include five minutes of exercise to keep the habit going. Once you’ve created that habit, it’s the easiest thing ever. Everyone can find 3 minutes to do some form of exercise. There’s so many points in the day where you’re waiting and you could do some exercise. It’s fun doing exercise in weird places. Do not dwell on the past. Those guilty feelings aren’t serving anyone. Stress is a no. 1 killer. We’re all about less stress is best. It feels really good to be able to do things. You want to be able to live your life to the fullest. Correlate healthy decisions with a healthy life. The more healthy choices you make the more you can live a full life. Open your pantry or fridge. What’s one thing you can remove that will help you make healthier choices in your eating today? Want More From Your Brilliant Un-Career? Your Brilliant Un-Career features a bonus private podcast interview with EFT practitioner Sally Thibault. Listen in for tips on how to overcome the mental and emotional barriers to your success and read Chapter 11 of Your Brilliant Un-Career for more on this topic. Access this interview for free here, along with 32 other bonus business building podcast interviews, templates, worksheets and motivational affirmations.